Rock_1.....................18152 polygon. ........18301 vertices. Rock_2.....................18326 polygon. ........18505 vertices. Rock_3.....................23622 polygon. ........23850 vertices. Rock_4.....................19368polygon. ........19513 vertices. 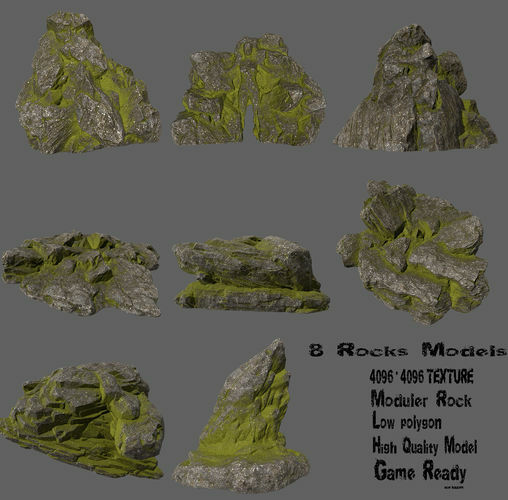 Rock_5.....................20879 polygon. .........21064 vertices. Rock_6.....................14981 polygon. .........15089 vertices. Rock_7.....................26231 polygon. .........26373 vertices. Gate_......................26046 polygon. ........26192 vertices.